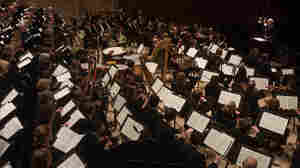 May 12, 2011  Hear the orchestra perform works possessed with the turbulent spirit of war, including music by Ralph Vaughan Williams, Benjamin Britten, Charles Ives and John Adams. 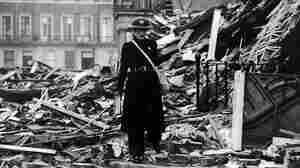 April 30, 2014  Conductor Robert Spano leads the orchestra and chorus in Benjamin Britten's War Requiem, music written for the 1962 rededication of the cathedral in Coventry, England, destroyed in a 1940 air raid. December 31, 2013  A beloved conductor made a triumphant return, an opera singer took a stand and Walt Disney was reanimated by Philip Glass. It was quite a year in classical music, which also brought the closing of a prominent opera company and the continued silence of a major orchestra. 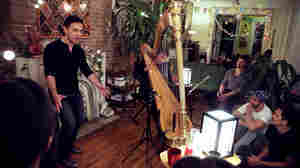 November 20, 2013  A tenor brings three quirky folk songs from England — connecting music from British cultural icon Benjamin Britten back to the bohemian Brooklyn that he and his longtime partner once called home. November 21, 2013  For conductor Marin Alsop, discovering Benjamin Britten through his monumental War Requiem has been both easy and complex — a perfect summation of the man himself. 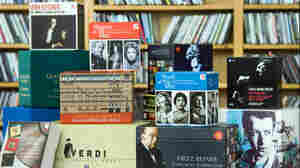 December 6, 2013  It's been a banner year for classical box sets. Deceptive Cadence hosts Anastasia Tsioulcas and Tom Huizenga tell us why and choose a few of their favorites. 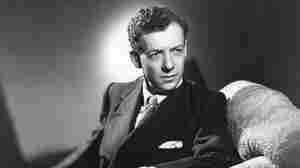 November 22, 2013  Born Nov. 22, 1913, Benjamin Britten went on to become one of the greatest composers of the 20th century, one whose work managed to push boundaries while still remaining tonal. The centennial of his birth is being marked by concerts around the world and a massive reissue of his recorded works. 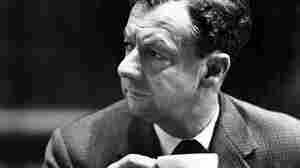 November 10, 2013  Britten's response to the collective bloodshed of the 20th century remains as vital and visceral as it was when his Requiem premiered more than 50 years ago. It was commissioned for the reconsecration of Britain's Coventry Cathedral, which had been destroyed by a Nazi bomb raid in 1940. November 19, 2013  Britain's artistic idol would be 100 this Friday. We've got your cheat sheet to his music and life. May 22, 2009  Memorial Day might signal the unofficial start of summer fun, but its true purpose is to commemorate those who have died in service to the country. Hear five musical expressions of uncommon power and beauty, reminding listeners of both what has been lost and what we value most. August 29, 2008  Benjamin Britten's final, haunting opera Death in Venice (based on Thomas Mann's novella) finds an aging writer obsessed with one particular kind of beauty that leads to his downfall, in a production from Glimmerglass Opera. February 7, 2008  The Jupiter String Quartet has been playing together for just seven years, but it's already racked up an impressive collection of awards. The group takes music by Benjamin Britten to the WGBH studios in Boston. April 27, 2007  Russian cellist and conductor Mstislav Rostropovich, who courageously fought for the rights of Soviet-era dissidents and later triumphantly played Bach suites below the crumbling Berlin Wall, died Friday in Moscow. He was 80. August 15, 2007  Oboist Yuga Cohler, violinist Mann-Wen Lo, violist Christine Hung and cellist Tavi Ungerleider hail from the New England Conservatory Prep Division. The group's unusual name, The Festivus Quartet, comes from a Seinfeld reference. The quartet performs Benjamin Britten's Phantasy Quartet, Op. 2. This segment originally aired on Sept. 20, 2006. December 12, 2006  Cincinnati-based WGUC plays classical music 24 hours a day, reaching out to the genre's newcomers and longtime aficionados alike. WGUC music director Kent Teeters compiled this list of the 10 best classical CD discoveries of 2006. August 2, 2006  In the spirit of mixing and matching music on MP3 players, Performance Today mixes a set of four short pieces, back to back, by Benjamin Britten, J.S. Bach, Mozart and Richard Strauss. 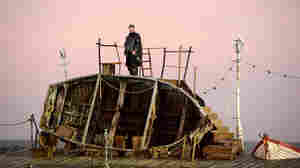 July 13, 2006  Benjamin Britten's four Sea Interludes, from his 1945 opera Peter Grimes, come floating out over the landlocked mountains of the Grand Teton Music Festival. The Festival Orchestra is conducted by Mark Wigglesworth. May 18, 2012  Widely respected by fellow musicians and audiences as one of the greatest classical singers of the 20th century, the baritone has died at age 86. 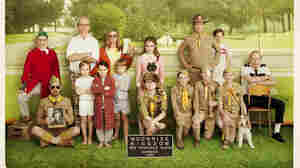 Why Is There So Much Classical In 'Moonrise Kingdom'? June 28, 2012  How the music of British composer Benjamin Britten inspired Wes Anderson's latest film — and some fanciful theories about its significance.